Over the past couple of years, Instagram has grown from ‘just another social media platform’ to a full-blown content creation platform that allows brands and businesses to connect with their audience through engaging content. From having a beautifully curated feed to collaborating with influencers in your industry, there are so many ways to harness the power of Instagram to grow your business. One of the best, but often overlooked feature - Instagram Stories. Many are questioning their need to spend time on Instagram Stories as they’re already spending so much time and effort maintaining an engaging feed. Well, long gone were the days where your Instagram Stories only exist for a mere 24 hours. With the Highlights update, you can now keep your best stories into a super organized display on your feed. Also, Instagram Stories offer certain features that are not present on your regular ol’ Instagram feed. Need a little more convincing before adding Instagram Stories into your “social media must-do-list”? Instagram Stories is more tolerant in terms of video and photo quality. You don’t need amazing lighting or the best camera to take photos and videos for your Story. (That’s what the incredible filters are for!) All you need is an interesting and timely subject matter and you’re all good. It’s great for sharing photos, videos of ongoing events and all things BTS. In fact, raw + unedited = authenticity! You can upload as many “average” Stories you want and still keep your feed beautiful. Instagram Stories is more interactive. Polls, swipe up links, and many more — these features of Instagram Stories ensure that your audience is engaging with your posts. Your audience are more likely to interact with Stories because it’s more private and personal compared to liking and commenting on regular feed posts. Instagram Stories boasts of over 400 million daily users. Simply imagine how many people will you be reaching when you start creating content and showing every day on Instagram Stories. Or, just think about the missed opportunities if you don’t show up. learn how to master your Instagram Stories game! 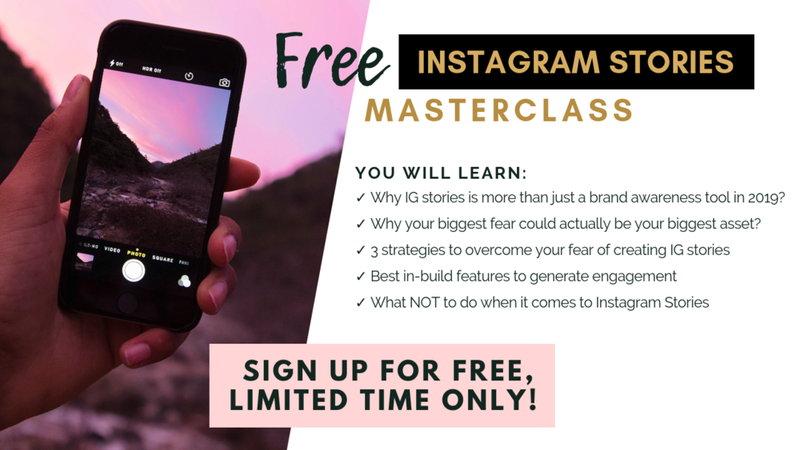 Sign up to our FREE Instagram Stories Masterclass today! Instagram Stories allow you to reach people who don’t follow you. With the discovery feature, new audience can discover your Instagram Stories even without following you. This creates the perfect opportunity for you to reach more new people and generate plenty of top quality leads. Instagram Stories allows you to be as creative - or crazy - with your posts as you want! Sure, branding is still a thing with Instagram stories, but you don’t have to be as restricted when posting a Story as compared to posting something on your feed. Use emojis, add GIFs, go crazy on flashy text! These are all perfectly acceptable when using Stories. Instagram Stories have #hashtags too! “But what about targeting with hashtags? Can I do that with Stories?” Yes, you can! Adding hashtags to your stories means that they’re just as effective when it comes to reaching new Instagram users using relevant hashtags. Instagram Stories “hacks” the algorithm and improves your visibility. Since your Stories will be showing at the top of your followers’ feeds for 24 hours, they’re much more likely to be viewed compared to a regular post. When posting on your feed, you have to put a lot a lot of weight on the best time to post in order to maximize visibility. Given that Instagram Stories has not been affected by Mr Zuckerberg’s algorithm yet, you don’t have to worry about that. For now! Instagram Stories allows you to post more often without spamming your followers. Since your followers will only see your Stories if and when they choose to, there’s no risk of spamming them. Many businesses and brands have been unfollowed because of posting too much. With Stories, you reduce your risk of posting more than your followers want to see. Instagram Stories works as the perfect data collection tool. A smart Instagram user or business owner knows that it’s not all about sales and exposure! Your followers’ thoughts and opinions matter a lot too. With the polls and questions feature in Stories, you can easily pose a question and collect important feedback from your followers. Or if you want it to be a little more personal, you can always prompt your followers to direct message you instead. Since it is super easy and it only takes a few seconds to respond to polls in Stories, it’s a very effective way of collecting feedback from your audience! check out our post on 10 Instagram Stories Content Ideas! Instagram Stories is now even more amazing with Highlights. Feeling a little bummed that your awesome stories were gone before ALL your followers saw it? Well, worry no more! You can now save your best stories by adding them to your Highlights! Highlights stay on your profile, so anyone who visits it can take a look at all your highlighted Stories. Bonus tip: you can even create cute highlights cover photo to fit your brand! To make things a little better, you can also organize your Highlights by topic, product category, or however you want it to be. For instance, if you’re a fashion brand, you can have these categories: Events, Dresses, Tops, Bottoms, Customer’s OOTD, Sales, and so on! This allows your followers to check out the Stories about things that they’re interested in when they are visiting your profile! We hope you are now convinced that Instagram stories should be a part of your social media strategy for your brand or business. 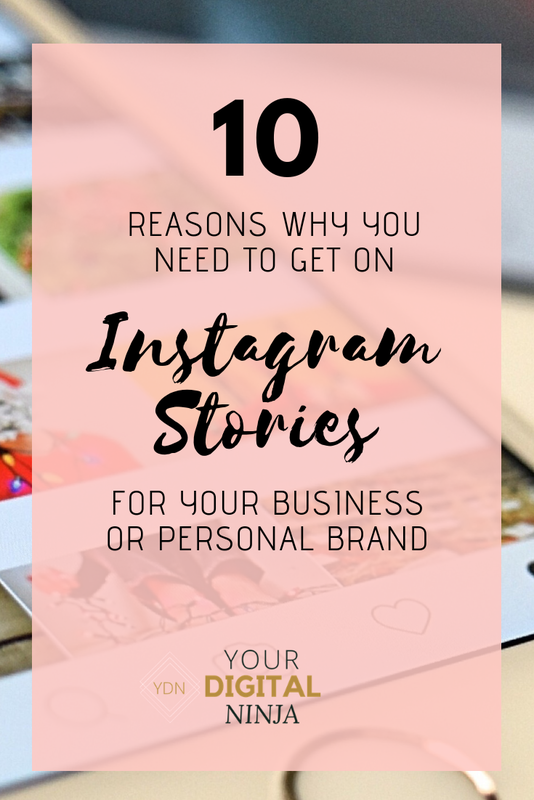 Instagram Stories is a brilliant marketing tool from Instagram, and it is an amazing way for you to connect and engage with your audience and customers! If you’re still not utilising it for your brand or business, then you’re definitely missing out here!! !